In the world of technology, our festivals are no more amazing that they were used to be. People stay together but they like to communicate through smartphones. Love, warmth and compassion are fading in this modern era. 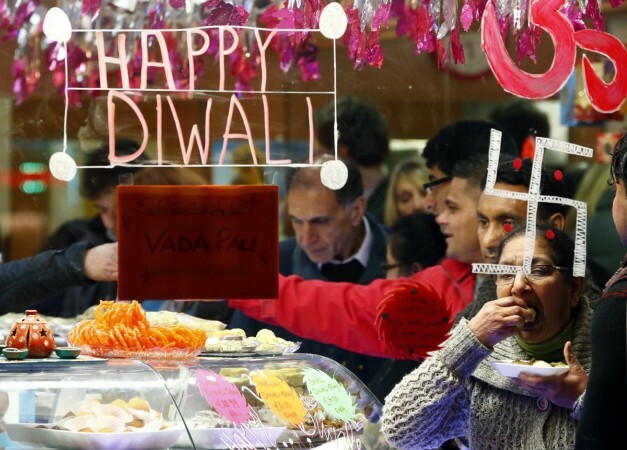 As festival of Diwali holds a great significance in lives of Indians so everyone is preparing for the big festival. In fact, people have habit of overeating during the festival. Well.. this year, you can be wiser and celebrate Diwali in better and healthier way. Know how. Although it is quite difficult to make sweets at home in this fast-moving life, eating homemade sweets is a good idea. This year, make little efforts and prepare sweets at home. These homemade sweets are not only tasty but also healthy too. Chocolates, cakes, muffins and cookies etc are not part of traditional Indian desserts. These are adaptation from western countries. These are even not good for health as they contain lots of calories. Hence, this Diwali make a vow not to eat these delights. Mindful eating is very important during festivals. It is usual habit that people go beyond their appetite when it comes to food. Be careful about what you eat and the quantity too. Stop yourself if you are full else you may get sick. Exercise is important for good health. Even during the busiest days, one should stick to exercise regime. Take out time for exercise or any other physical activities amidst festive season. Doing exercise even for 15 minutes keeps you healthy and fit and refrain you from gaining weight.